I don’t think many of us can help it. 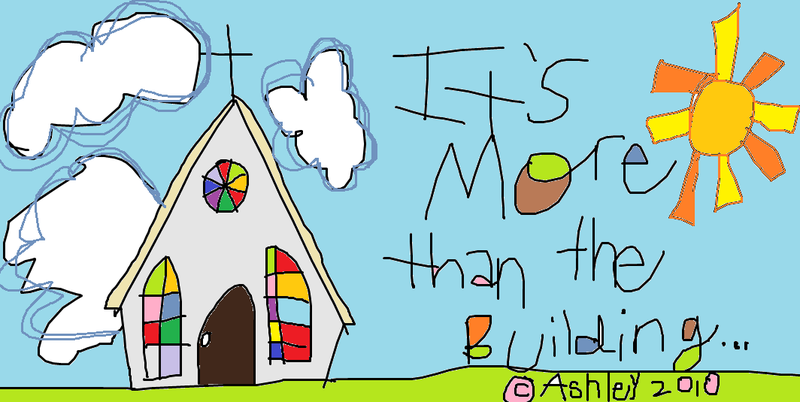 “The church is the people, not the building.” We say that, sure. We may even believe it. But in many ways, in practical ways, it is certainly an organization. It’s definitely a non-profit corporation with insurance policies to protect the board of directors and coverage for liability. It has utility bills and a phone line. And an alarm system. And furniture. Books. Paper cups and plates. Etcetera, etcetera. And we think of success in terms of dollars and attendance and assets because of all this etcetera. It’s what forms the industry of church planting, denominations, and protects the resources of our collective contributions. It’s what gives us a little bit of assurance that our contributions are tax deductible come tax time. It gives a tangible notion to what it means to be “advancing the kingdom.” It’s an old notion of Christendom that dates back to medieval cathedrals. But let’s be candid, no one should mistake a successful organization that has a lot of dollars, attendance and assets as the body of Christ. No one should assume that financially successful Christians are any more sanctified than those of lower means. Before I was called to be a pastor, I got my degree in Economics and History and I made a living at marketing. I wasn’t very good at it because I cared about things other than profit. But I did learn a few things about trying to launch a new product, providing incentives, and helping the client feel like the transaction was a win-win. All that being said, in the last few months, I’ve grown in my convictions that the way the world works is not how following Christ works. I don’t care for success or profit when it comes to the process of discipleship and learning to put on the new life. Even as a pastor, I’m sober about what it means to earn a living this way. I don’t think the size of the church or our assets is any indication of my success. In fact, my mettle as a follower of Jesus may only be proven as the road gets tougher and I become more broken. But I will say that I’m growing less afraid of failure as a professional, I just desire to be faithful. I can’t say I know what that looks like yet, but I desire to be faithful more than successful. I desire to walk in the ways of God rather than profit in my own ways. I want to be too faithful to fail. I want a church that is too faithful to fail.